Today I am supposed to write about my Digital Culture research and expose my interests and ideas that will eventually form the subject of my MA Thesis. There is a wide range of topics that have caught my attention and I often find myself trapped in a general, almost chaotic field of research. I am grateful to my professors and colleagues that helped me realize that it is essential to build a concrete research question that would be worthwhile and meaningful to explore. In order to face this weakness of mine I had to track and observe my thoughts on a daily basis; this has been my personalized mindmap and it will hopefully results in a fruitful MA work. Once I have a thought about my MA work, I check my list of interests and I try to find possible correlations between them. Therefore, I keep on creating nodes and edges saved as spreadsheets and today I imported them in GEPHI to visualize my reflections. 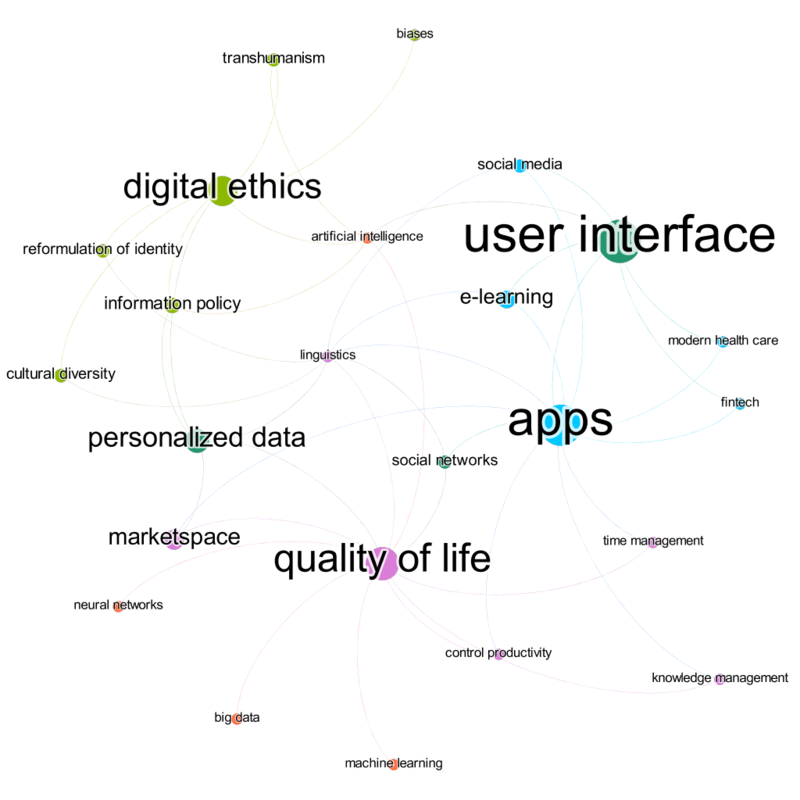 So far, it seems that I am mostly interested in exploring the intention behind the usability of technology and how it is related to my possible research questions. Visualizing my ideas has been a vital touch of brainstorming for my MA work. Click here to view my graph.